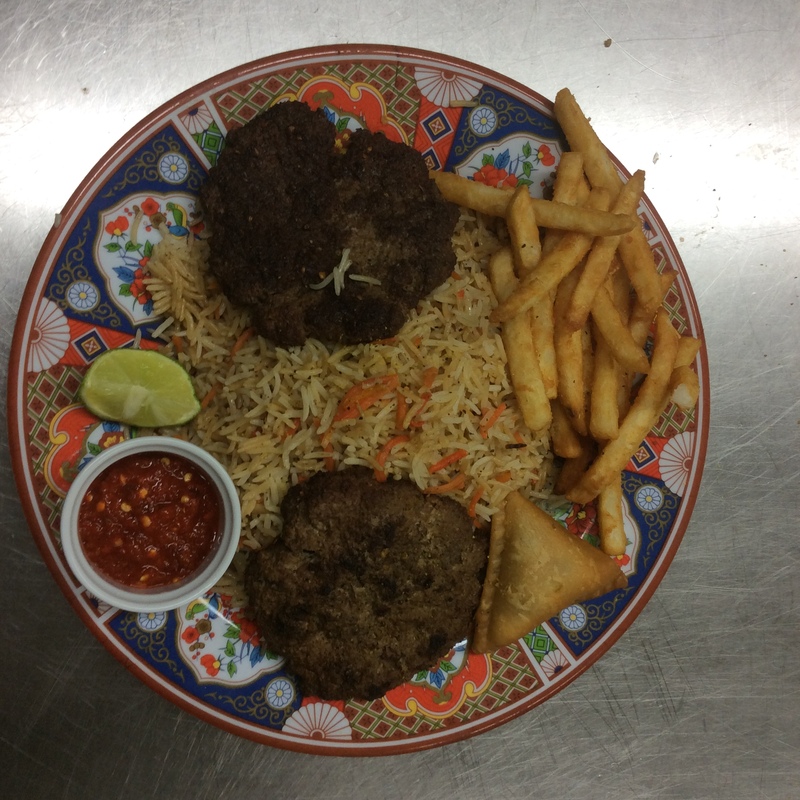 Entrees are served with Chatni and Salata (Salad). A mixed variety of kebabs marinated with special herbs. 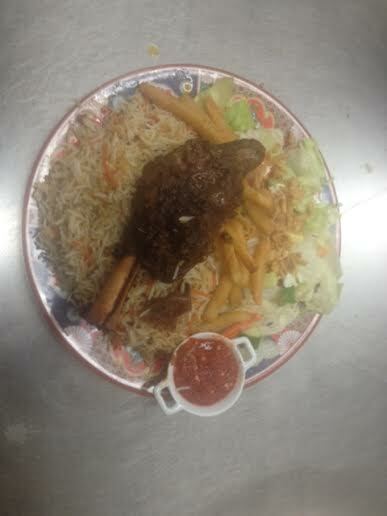 One lamb leg on top served with small rice and salad. 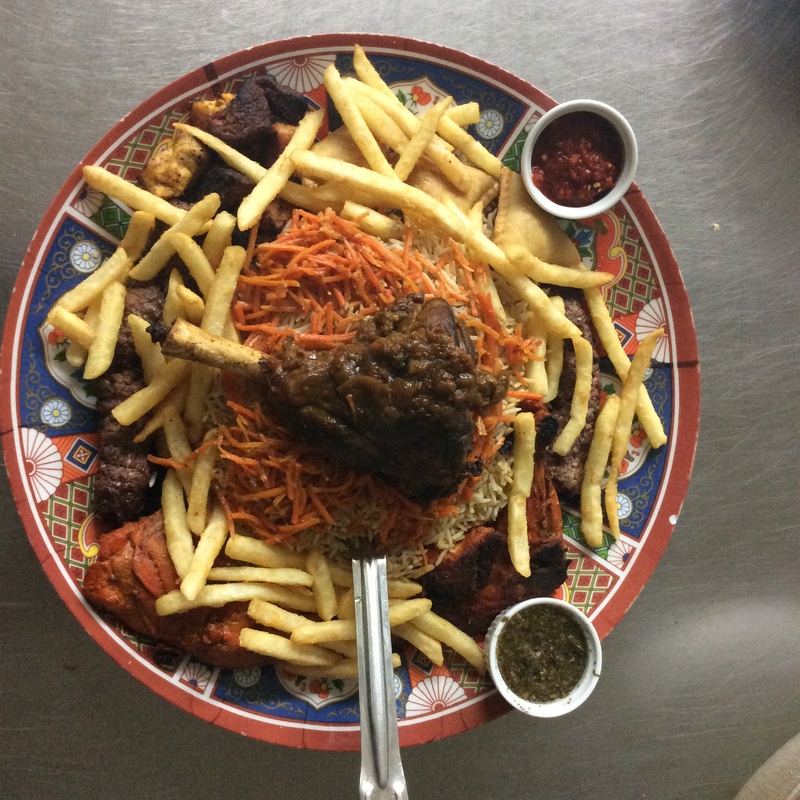 Delicately seasoned lamb shank under a mound of Pallaw (seasoned basmati rice), topped with carrot strips and raisins. Stew of eggplant cooked with onion, tomato, and spices topped with yogurt and mint served with Challaw. Fresh spinach cooked with red kidney beans, onions, garlic, and spices served with Challaw. 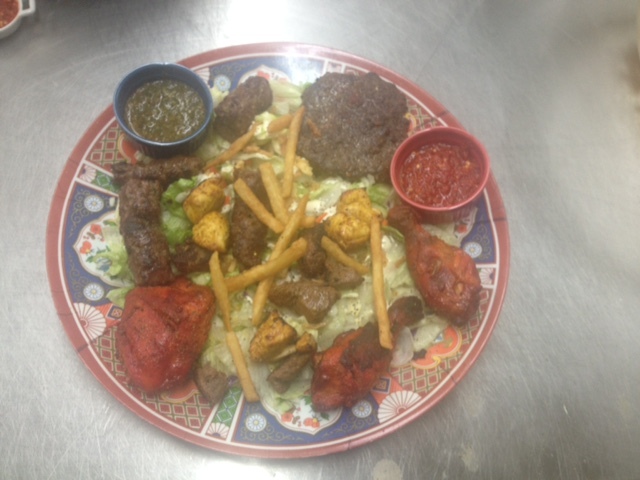 A mixed variety of big skewers of chicken, beef, and Seekh Kebab. Two patties of Chaplee Kebab and three pieces of chicken legs marinated with herbs and special spices. 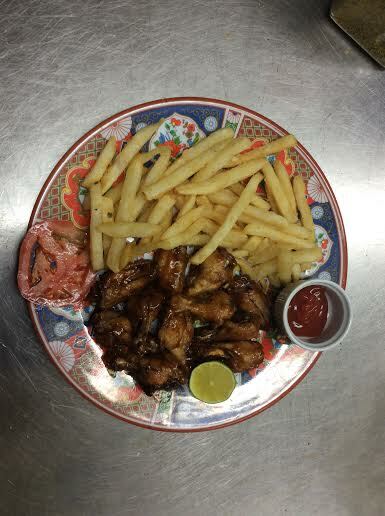 Served with small rice and fries. 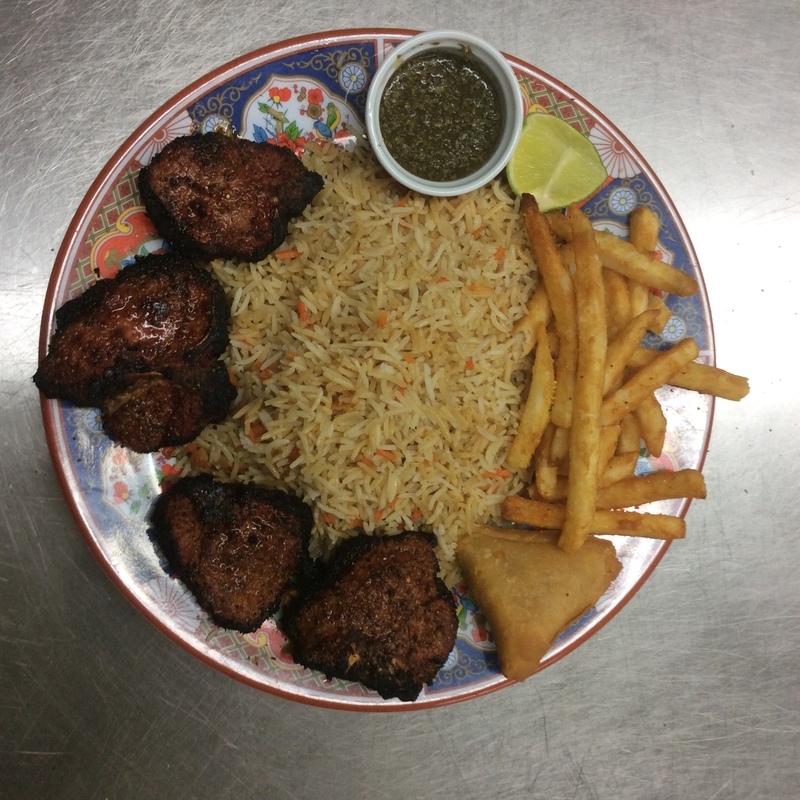 Two skewers of ground beef marinated in special spices served with seasoned rice. 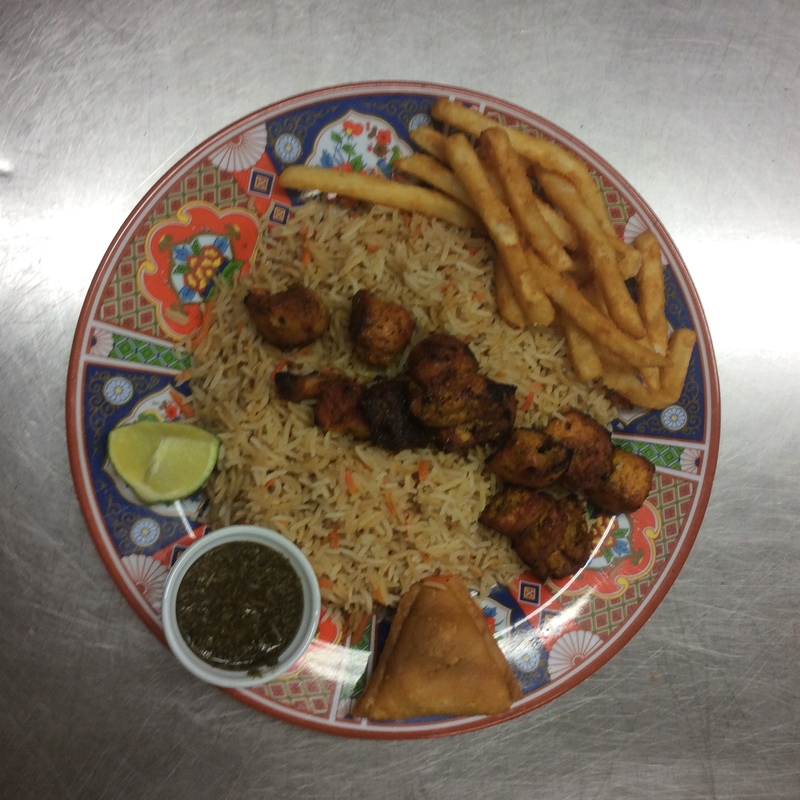 Two skewers of chicken breast chunks marinated in special spices served with seasoned rice. Two skewers of beef chunks marinated in special spices served with seasoned rice. Two ground beef patty marinated in special sauces, fried on a grill, and served with seasoned rice. Chicken legs marinated in special spices and cooked in a clay oven. Served with seasoned rice. Lamb chunks marinated in special spices and cooked in a clay oven. Served with seasoned rice. 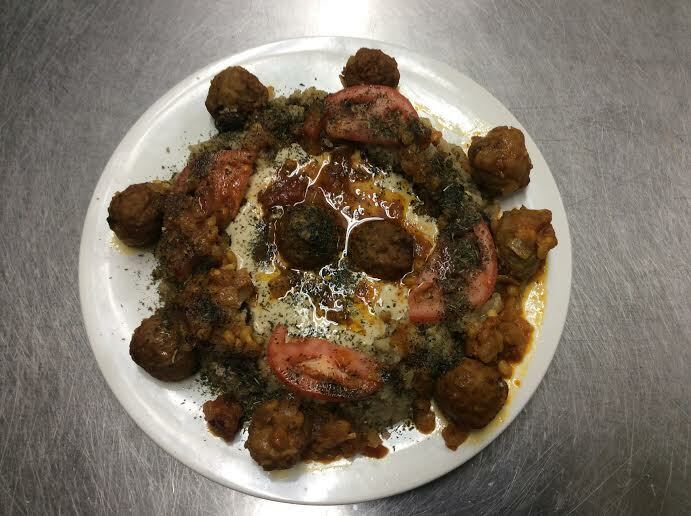 Steamed white basmati rice topped with yogurt and meat balls. 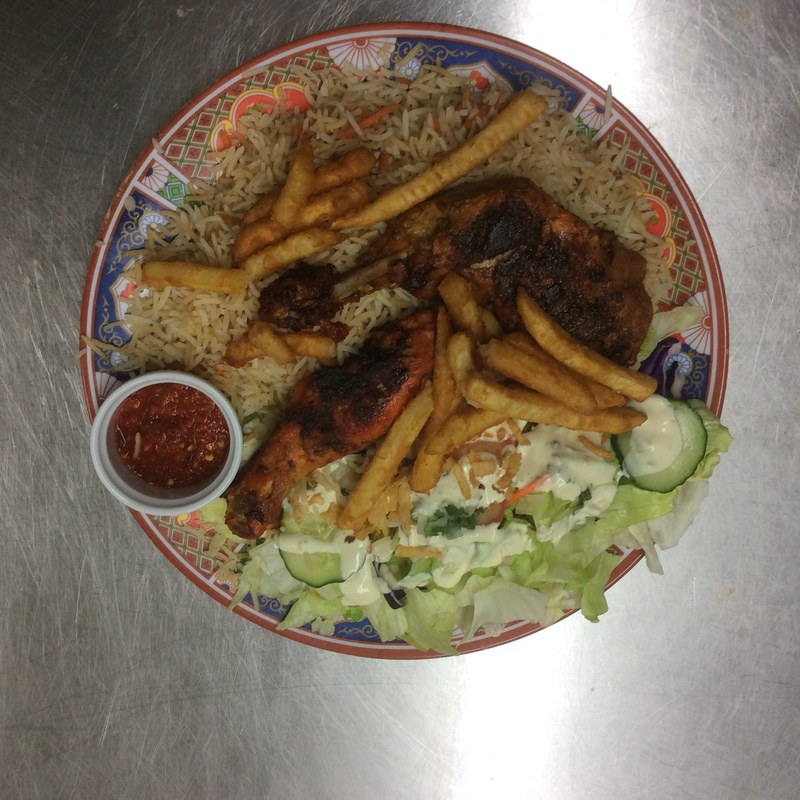 A mixed variety of Chicken Teka and Tandori Chicken marinated in special spices. Served with small rice and fries. 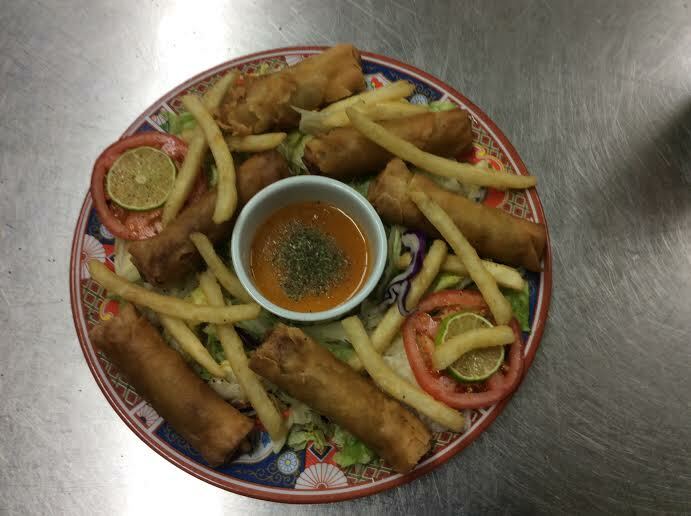 A mixed vegetable wrap on the rice paper served with fries and special spring roll sauce.